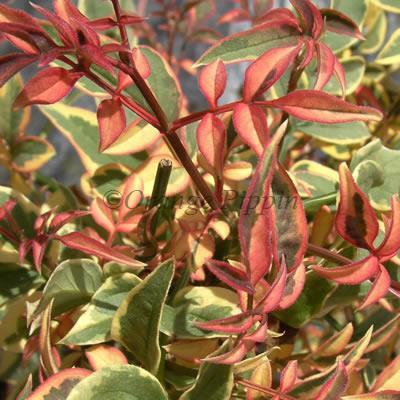 Jasminum officinale 'Argenteovariegatum' is a fast growing, non-evergreen climbing Jasmine with finely-cut, beautifully coloured green, pink and white leaves. This elegant climber produces the most deliciously scented white flowers from May to July which bees adore are followed by black berries. This easy to grow climber would look lovely trained on a trellis in a cottage garden or in a large patio container placed near a door where the beautiful fragrance can be appreciated.